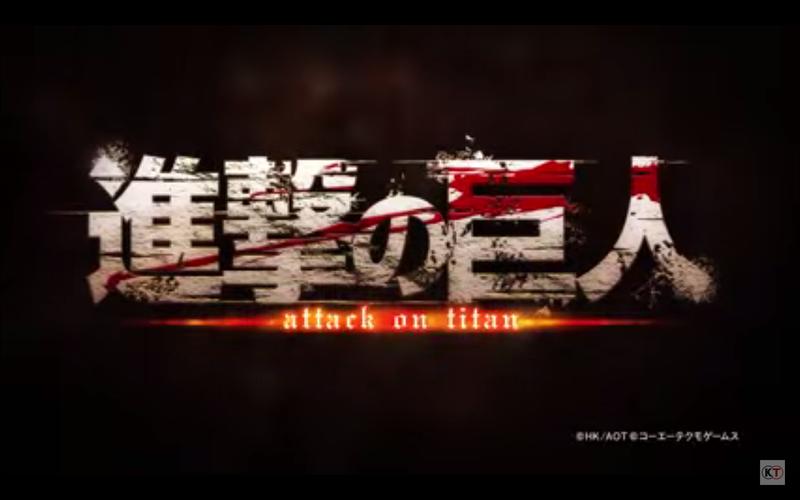 It’s been a while since Koei Tecmo released any updates surrounding their upcoming video game adaptation of the popular manga/ anime series “Attack on Titan”, but all that changed with the release of a brand new trailer that confirms that the game will be out next year, on February 2016 and coming for the Playstation 4, Playstation 3, and Playstation Vita video game systems! 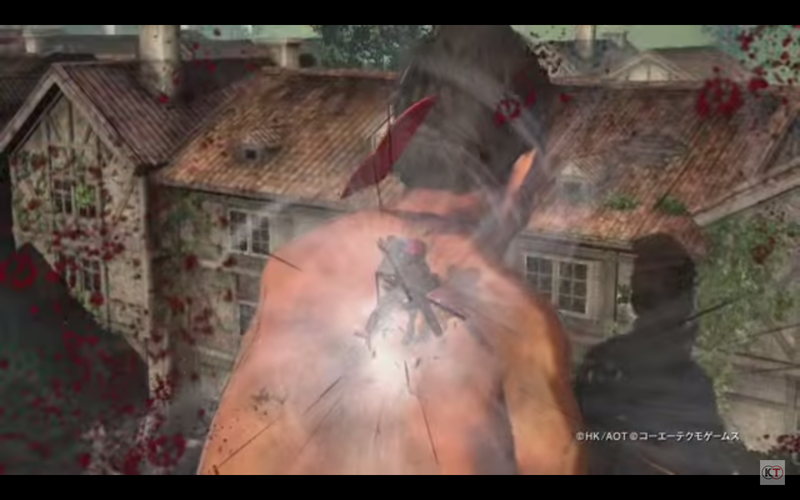 The trailer showcases much of the action expected from a game that’s based on “Shingeki No Kyojin” – where giant humanoid beasts known as “Titans” hunt and consume the remnants of humanity hiding behind walled cities, with no one but an army of trained military men using specialized 3D maneuver gear to fight back the monsters with. 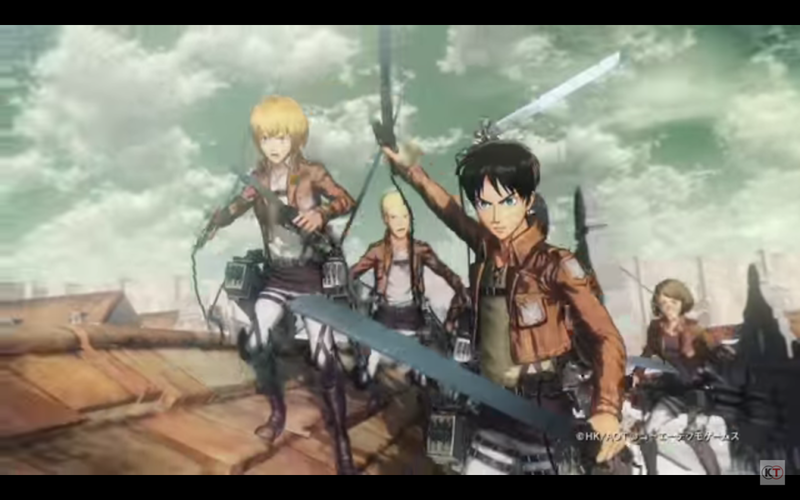 Fan favorite characters such as Eren Yeager, Mikasa Ackerman, Levi, and more make an appearance and are playable in the game, which will be developed by Omega Force – who have worked on the Dynasty Warriors games and the Zelda spinoff title “Hyrule Warriors”. 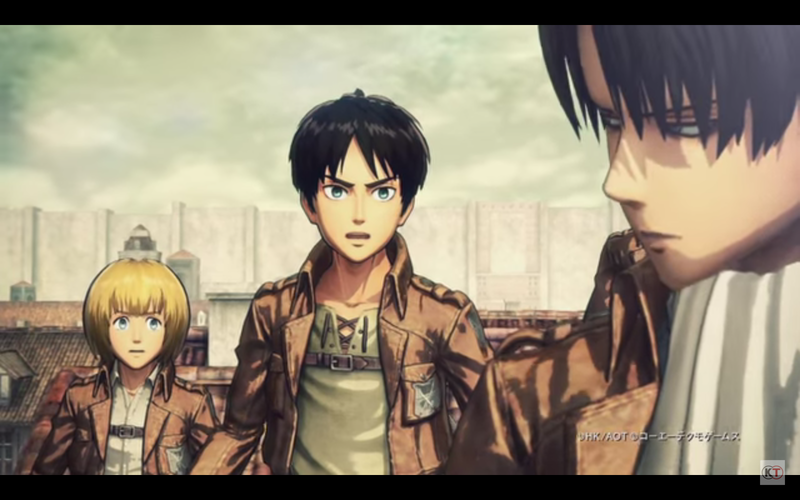 No official title has been given for the Attack on Titan game, but it heads to PS4, PS3, and PS Vita sometime February 2016.